Planet TV Studios produces cutting edge, real life, television series that features insightful, meaningful updates on medical institutions that are shaping our nation's healthcare. MERRILLVILLE, Ind., August 29, 2017	(Newswire.com) - "New Frontiers" is developing a new medical series exploring innovations in medicine. This TV series will be released on cable TV, and short segments will be released on on-demand TV such as Amazon, Roku, Vimeo, iTunes and other on-demand platforms. "New Frontiers" is developing a new medical series exploring the minimally invasive surgical techniques of orthopedic spine surgeon, Dr. Zeshan Hyder. Dr. Zeshan Hyder describes his mission as returning his patients back home pain-free following the most advanced and minimally invasive surgical techniques. His practice seeks to preserve motion in surgical patients allowing them to live their lives without permanent, negative impact on their day-to-day productivity. However, Dr. Hyder considers surgery as a last resort to treat chronic neck and back pain. Dr. Hyder has practiced in northwest Indiana for 6 years and was recognized as the best medical professional in the region in the field of spinal surgery. While he has medical clout in his community, his philosophy regarding his role in the treatment of spinal conditions is distinctly lacking in sanctimonious assurances based on his experience and innovations. Dr. Hyder insists his patients understand they make the final decisions when choosing a surgical or non-surgical path towards healing their bodies. He furthermore insists patients collaborate with members of their emotional support system when deciding to undergo surgery and to maintain a positive mindset as he believes it has a direct effect on the body’s ability to heal. ​Dr. Hyder offers non-surgical medical assistance for spinal issues in the form of acupuncture, exercise, chiropractic care, physical therapy, medications, and epidural injections. He employs a surgical technique known as Minimal Access Spinal Technologies (MAST) which enables the surgeon to remove herniated discs in the lumbar spine in the most minimally invasive method available. He practices in at least three of the hospitals in the northwestern region in Indiana to include offices in Merriville, Hobart, and Munster. 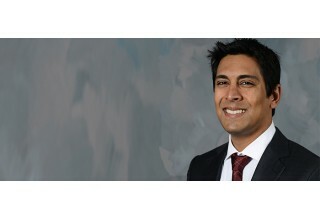 You can learn more about Dr. Hyder and how to contact him by visiting http://www.orthopedicdoctors.com/dr-zeshan-hyder or call (219) 795-3360. New Frontiers is a compelling TV series which explores cutting-edge medical institutions that are shaping our health care field. New Frontiers is a medical series in short documentary form to be featured on TV and on-demand TV. For more information, please visit PlanetTVStudios.com. Planet TV Studios produces cutting edge, real life, television series that features insightful, meaningful updates on the most important business, medical and social responsible topics currently taking place in the areas most important to our lives. Planet TV Studios is a leading content creation company successful in films, television, documentaries, commercials, infomercials, music, and docudramas. For more information please visit PlanetTVStudios.com. Planet TV Studios produces cutting edge, real life, television series that features insightful, meaningful updates on the most important business, medical and social responsible topics currently taking place in the areas most important to our lives. Planet TV presents entrepreneurs with a greater purpose than expanding their own business; Blaine Cook founded his organization to earn a platform which educates people on improving their financial circumstances. Planet TV features the compassionate science utilized at the Healing Springs Ranch to help patients recover from substance dependency. Planet TV focuses an intriguing new episode of their cutting-edge educational program on a much-needed, updated approach to orthopaedic issues in America.